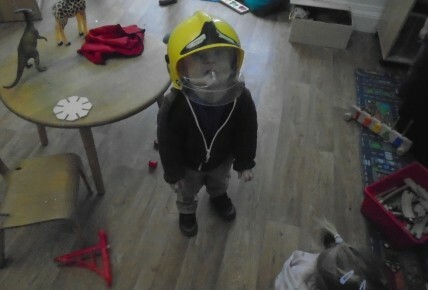 During our Enrolment Week the Toddlers were looking at Firefighters. 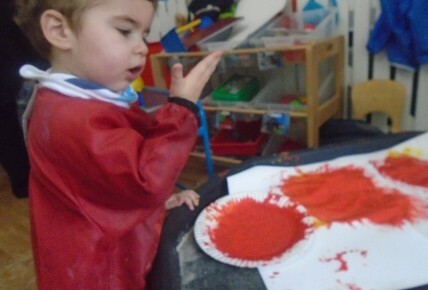 They tried on the firefighter's helmet and painted a red fire engine. 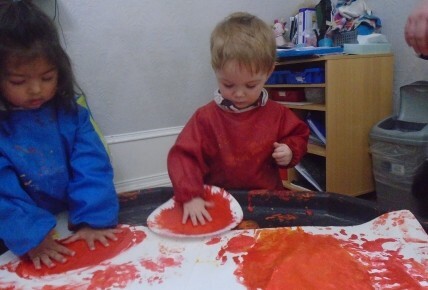 Lots of messy fun as we used our hands and fingers to paint with.